The InfraCal 2 portable infrared analyzers have been used worldwide for measuring offshore oil levels in produced water for over 45 years. They have an advantage over other analytical instruments in that the measurement can be performed by non-technical users and it is relatively unaffected by composition changes in the effluent. They also provide users with the necessary ruggedness and reliability that is a key requirement. 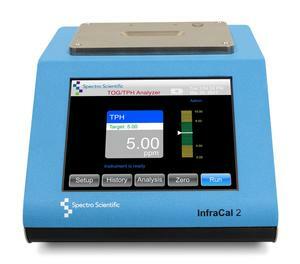 In addition to their use for measuring oil content in produced water, portable IR analyzers are ideal for both onshore and offshore oil content measurements in drill cuttings, total petroleum hydrocarbons in soil at remediation sites, and Fracking water where the samples may have oil concentrations greater than 1%.